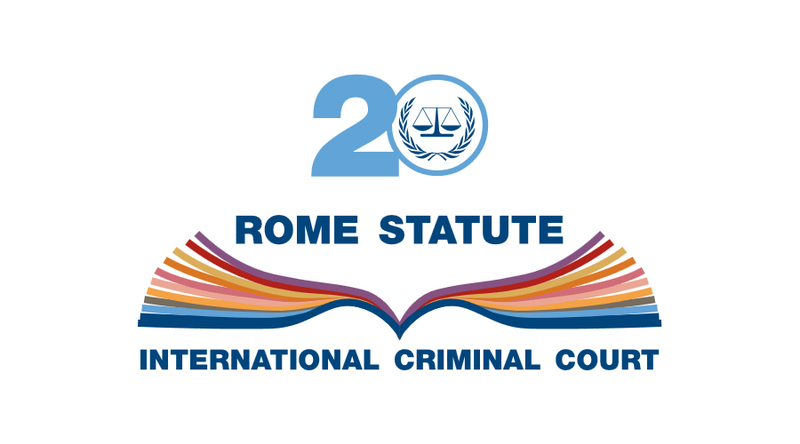 July 17, 2018 marks the 20th Anniversary of the Rome Statute – the Statute which established the International Criminal Court and its jurisdiction over crimes against humanity, genocide and grave breaches of the Geneva Conventions (war crimes). As of today, the crime of aggression will officially be activated and added to this list. In its first twenty years, the ICC has seen twenty-six cases before the Court and secured eight convictions – two of which have been acquitted. Despite criticism over these numbers and the speed at which prosecution has taken place, the Court of last resort has taken foundational steps towards the advancement of international criminal justice and the end of impunity for these heinous crimes. Today, eleven situations and ten preliminary examinations are under investigation by the Office of the Prosecutor including situations in Burundi, Colombia, Gabon, Guinea, Iraq/United Kingdom, Nigeria, Palestine and Ukraine. The 20 November 2017 request to proceed with an investigation of the situation in Afghanistan (since 1 July 2002) is still pending. In May of this year, following the outburst of violence in Gaza, the Government of the State of Palestine referred the situation in Palestine to the ICC, requesting the Prosecutor to “investigate, in accordance with the temporal jurisdiction of the Court, past, ongoing and future crimes within the court’s jurisdiction.” The Prosecutor’s response states that the situation in Palestine has been under investigation by her Office since January 2015 and would continue to follow guidelines of the Rome Statute to determine and resolve issues of Jurisdiction, admissibility and the interests of justice. More recently, and controversially, on June 8th the ICC Appeals Chamber acquitted Jean-Pierre Bemba Gombo from his 18-year sentence for crimes against humanity and war crimes. In March 2016 Bemba had been convicted on the basis of his role as commander of the Movement for Liberation of Congo (MLC) for crimes committed in the Central African Republic (CAR) between 2002 and 2003. Bemba’s conviction was monumental for its focus on sexual and gender-based violence as a crime against humanity and the imposition of liability on a commander for such crimes. 5229 survivors had participated in the proceedings. Bemba’s acquittal has been heavily criticized for its departure from ICC and other international precedent on the standard of appellate review of factual errors. The judgment suggests that “when the Appeals Chamber is able to identify findings that can reasonably be called into doubt, it must overturn them”. This new standard is inconsistent with the Court’s normal course of Appellate review which gives deference to the Trial Chamber’s assessment of evidence unless the appealing party can demonstrate that the Trial Chamber could not have reasonably come to its conclusions based on the evidence available. The acquittal comes after a decade long judicial process leaving victims without a sense of justice for the crimes committed against them. While Bemba remains in detention for charges of obstruction of justice throughout his case, he has been nominated by his political party in the Democratic Republic of Congo as a candidate for the December 2018 Presidential elections. As justice advocates around the world celebrate the Rome Statute’s 20th Anniversary, none have failed to acknowledge the need for deep change moving forward. The activation of the crime of aggression is an important step but the cooperation of States Parties and universality of the Rome Statute are essential for the Court to successfully fulfill its mandate moving forward.